WPP is a public limited company specializing in advertising and public relations. Its executive office is located in Dublin, Ireland although its head office is located in London, England. With over 203,000 employees including associates as of 2018, WPP is considered as one of the “Big Five” agency companies, beside Dentsu, Publicis, Interpublic Group of Companies and Omnicom. WPP is listed under London Stock Exchange and NASDAQ. It is also a part of FTSE 100 Index. Founded in 1971 as a wire basket manufacture, “Wire and Plastic Products plc” was acquired by WPP Group founder Martin Sorrel in 1985 with the aim to become a global marketing service firm. Today, WPP owns advertising companies like Grey Group, Wunderman, and JWT, digital companies such as AKQA, Geometry, OgilvyOne, public relations companies like Hill+Knowlton Strategies, and Burson-Marsteller, media investment management companies which are operated by MEC, Maxus, and MediaCom, group of companies with research-orientation, namely Kantar, which include BMRB, Indian Market Research Bureau, and TNS etc. They also own a subsidiary which specializes in manufacturing wire racks. In 2018, as Sorrel stepped down, Mark Read was appointed as CEO of WPP plc. to carry forward their mission to create growth for their clients using data-driven insights, technology, human intelligence and creativity. 1. New culture under New CEO: Sir Martin Sorrel’s extravagant way of running the WPP group and lack of transparency in executive pay package and personal conduct has already raised red flag among shareholders. The new CEO brought new promises for the organization. WPP Group’s revenue was falling week-by-week when Mark Read joined as CEO. The company had also lost major clients expecting WPP’s downfall under the new CEO. However, Mark Read has been sturdy and announced a three-year strategy for WPP’s revenue bounce-back in December 2018. Read perceives the industrial turmoil as a structural shift rather than structural decline. Hence, he wants to drive WPP through disruptive digital adoption. WPP has repositioned itself as creative transformation company – bringing transformation to client’s brand – through technological and data expertise, rooted on WPP employees’ creative minds. Simplification of organizational structure and simplification of what they offer – is the way forward. WPP’s future offer will cover four areas: communications, experience, commerce and technology. The structure will be represented by their client-centricity, fewer and integrated companies and letting go of underperforming companies, and country-level integration. Reduction in owned companies and country-as-a-single-market has been suggested by the market analysts for cost-cutting and efficient management from Sir Martin Sorrel’s tenure. It was a fresh change to the organization outlook for which many investors are quite expectant. 2. Investment in creativity and Technology: WPP clients have been vocal and consistent about harnessing WPP’s creative expertise to transform their companies through the technological paradigm shift in the recent years. For the growth of the clients and shareholder, it is a no-brainer for WPP management to increase investment in creativity, talent and technology. WPP has been repeatedly rated as the Holding company of the year in Cannes International Festival of Creativity till 2017. It will try to grab hold of that most creative company position in future too. While creativity only – has been the core competency of the Group with exploration in digital aspects, due to heavy competition from disruptive advertising agencies like Google and Facebook, technological paradigm shift is the need of the hour. WPP has to overhaul its current digital-focus and evolve to a disruptive digital ad agency itself to sustain in the industry for years to come. WPP’s unique technology partnership and strategic merger of its owned brands – will help it in gaining competitive advantage. 3. Exploring emerging markets: Emerging countries like India have risen in Ease of Doing Business Index over the recent years. While market is saturated in developed countries for WPP group, there are numerous clients in the emerging countries who can avail marketing expertise of WPP. The most competitive companies from emerging economies are becoming global players that outperform their counterparts in advanced economies. These are the potential clients for WPP. As part of increased investment in India, for example, WPP’s GroupM has completely owned India-based mobile marketing agency Madhouse in August 2018 looking forward to the explosion of mobile marketing in the country. Wunderman will remain as a key stakeholder in WPP’s India presence. In mid-2017, the WPP Group’s growth had slowed down in the emerging markets. However, with its increased investment in India, WPP projects a positive outlook on their prospective future performance in such countries which will in turn result in increased profitability in the long run. 1. Censorship of advertisements: WPP Group is a major player in advertisement and media industry. 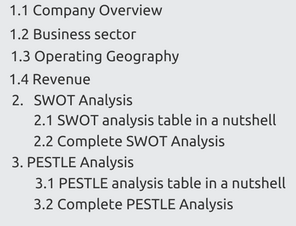 Its clients range from P&G, Deloitte, and PwC to Coca Cola, Perfetti Van Melle, etc. These companies are the most-known brands in their industries in specific countries or all over the world. Consumers are regularly attracted to the company through their creative advertisements. However, WPP Group with a global outlook, cannot undermine the emotions of general public. The local Government and bodies like Advertising Standard Authority act based on the emotions of general public and can censor the advertisement if deemed inappropriate for the public to avoid public unrest. The recent incident of London mayor Sadiq Khan being extra sensitive to offensive and unrealistic advertisements banned HFSS food and drinks is a display of how advertising firms can be dragged into legal suits. WPP group’s companies must consider social aspects and local laws of the region before finalizing an ad for a client. This is helpful for both the agency and its clients. 2. Lawsuits against executives for discrimination and misconducts: Age-old discriminatory practices in big conglomerates such as WPP group are under the radar lately. Erin Johnson, chief communication officer of WPP-owned JWT accused Mr. Gustavo Martinez, CEO of JWT in 2016 of passing racist and sexist comments neverendingly, touching private areas and engaging in various other unlawful conduct. The case settled two years later with the removal of Martinez and settlement for Johnson.9 Lance Maerov, an executive in WPP was also alleged to conceal a sexual harassment practice by multiple women.10 In now-defunct Yolk Pte Ltd, previously owned by WPP, shareholders launched a lawsuit against WPP-owned Grey Group APAC CEO Nirvik Singh and CFO Ali Belgaumi accusing of minority oppression by retrenching Yolk’s original employees and transferring rest of the employees to Grey Group, thereby practically shutting down the Yolk Pte Ltd.11 In 2018, Suzanne Hernandez, a senior employee at WPP-owned brand consultancy Landor Associates was terminated due to age discrimination. She was allegedly removed as she was “incompatible with the youthful image” portrayed by the company. WPP founder Martin Sorrel’s recent departure from the company due to personal misconduct has been always astounding considering his experience in the industry as well as the company. The number of such cases against senior executives is increasing rapidly in WPP group. To retain its shareholders, WPP group must overhaul its discriminatory practices in all of its firms. 3. Mergers and acquisition: WPP Group has been constantly involved in mergers and acquisition. In the leadership of the founder and ex-CEO Sir Martin Sorrel, WPP group owned almost 400 companies. The focus on horizontality – a collaborative approach and Sorrel’s relationship management, these companies work together very well. However, in recent years, it came to notice that there were many low-performing companies which were let go under the new CEO Mark Read. Read has also focused on merging few major owned companies to give them a common goal – for example: in November 2018, WPP merged Wunderman and JWT – two of its biggest companies. Such mergers and acquisitions bring a lot of legal issues such as anti-trust and competition concerns if not executed correctly. Integration of organization structures, policies and employee unions must be done correctly based on domestic laws and regulations. As a world-leading conglomerate running on goodwill of clients and stakeholders for 36 years, it is necessary for WPP plc. to be well-versed with the legal aspects of M&As. 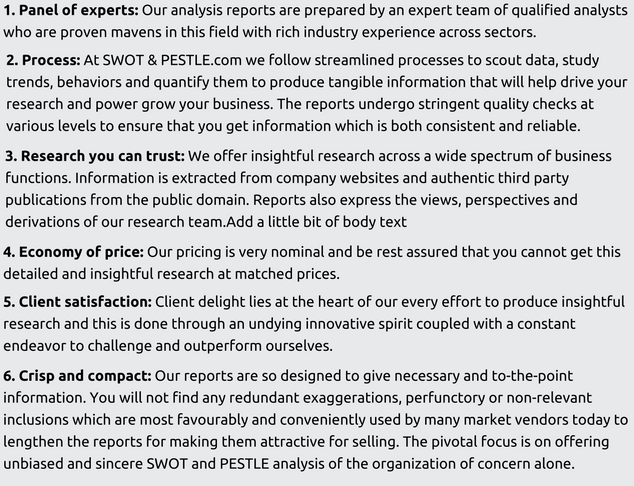 WPP SWOT and PESTLE analysis has been conducted by Swetashree Sahoo and reviewed by senior analysts from Barakaat Consulting. 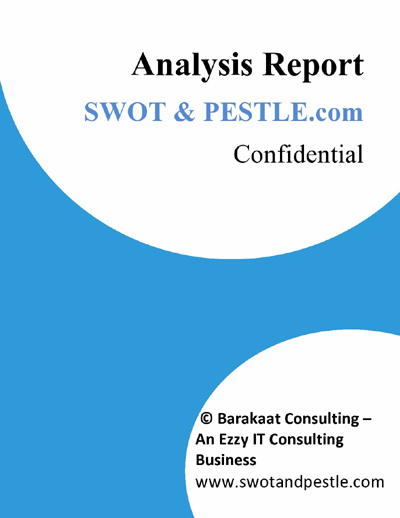 Copyright of WPP SWOT and PESTLE Analysis is the property of Barakaat Consulting. Please refer to the Terms and Conditions and Disclaimer for usage guidelines.